Hi, I just happened to watch This Is It on Blu-Ray and was amazed what a great dancer Michael Jackson still was. Don't you wish to be as agile as he was when you are 50? A year ago, when I saw his short press conference announcing 50 new live concerts after more than a decade of absence from stage, I thought he has gone crazy and hardly believed how he could do this. Performing 50 live concerts in a short period of time is not a little thing. However, after seeing him on stage, I am really sad that he died before his first concert, which probably would have been the greatest concert ever made so far. The Blu-Ray also contains several documentaries about the concert which I regard better than "the movie" itself. 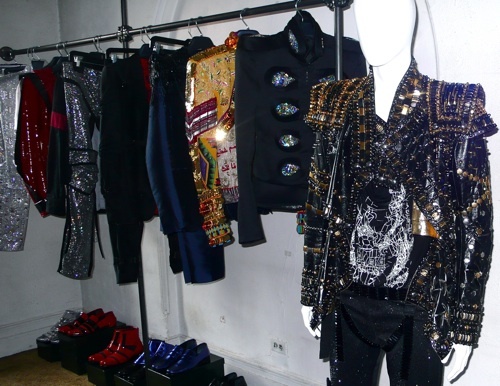 One of them is a documentary about Zaldy, the New York based star designer, who made the brilliant costumes for Michael Jackson's final tour. 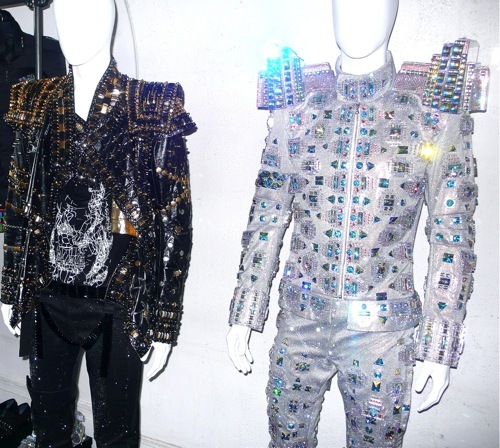 I especially love the lightman outfit entirely made of Swarovski crystals and the We Are The World outfit, which combines fashion from different cultures around the world. Zaldy also designed the "technologically most advanced outfit ever made", which uses a special material which can emit light patterns in different colors matching the rhythm of the song.